Like many, I found my productivity dwindle this past weekend as I read, watched, and (more on this in a moment) listened to as much as I could in regard to the situation in Japan, a country I visited with some regularity between 2004 and 2009, when I was involved full time professionally in one of its great exports and local delicacies, manga. The earthquake and resulting tsunami of March 11 have literally and figuratively reverberated around the globe. Just south and north of where I live, in San Francisco, there was damage, even death, though not on any scale remotely like what is occurring across the Pacific. I live just one mile from the ocean, and the night of the event, as dusk approached, my family and I walked to the edge of San Francisco and watched as turbulent surf gave no significant signal of what was happening elsewhere. We also marveled at just how few witnesses stood with us. 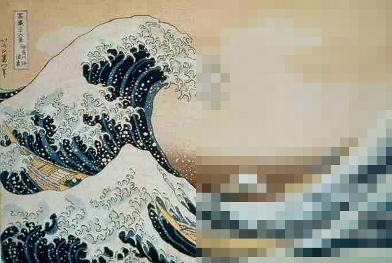 The sea offered no knowledge. For that, we turned back, back to the Internet and television. 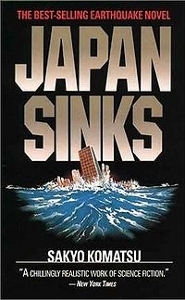 In my reading, one of the most informative of such documents is not a manga but a novel from the early 1970s titled Japan Sinks, or Nihon Chinbotsu, by Sakyo Komatsu. (It was later adapted, twice, as a movie, The Sinking of Japan.) The slim volume has long served me as a useful codex of native anxiety. It plays out the scenario of Japan slowly, as the result of seismic activity, returning to the sea. In the end, the book is concerned with matters of cultural identity — how will a nation so intensely homogeneous exist when it no longer has a single geographic locale? The very element that gave the island nation of Japan its heightened sense of self-identity, the sea, is the one that proves its undoing. Cultural diaspora is barely, in 1973, even imaginable — at one point, about halfway through the book, some discussion takes place as to whether the Jewish people can serve as an example. More at his site, micahfrank.com, and soundcloud.com/micahfrank. For a related listen, at soundcloud.com/treehouses is a sonification of the 1995 Kobe earthquake (and, along with it, a discussion, in the comments, about the appropriateness of such an artistic creation). There is also a simultaneous video feed of six major news networks in Japan at timelordcardiff.com that, when played at once, provide their own audio evocation of events.